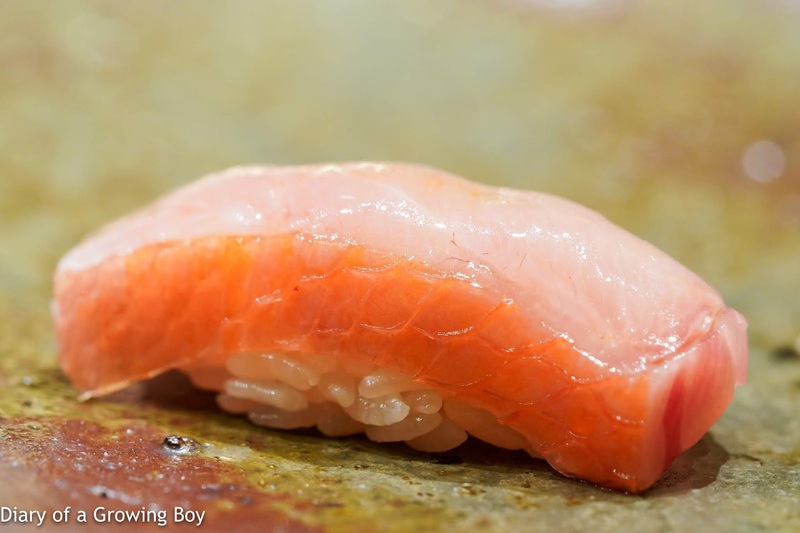 Over 2 months ago my friend L told me she wanted to dine at Sushi Saito (鮨 さいとう) in Hong Kong, and told me that she would make her way here as long as I got a booking, so I got us 4 seats at the counter tonight. But L's schedule changed just before I left on my extended European vacation, so I ended up asking around for replacements. Thankfully Baller was more than happy to step in and brought along a friend. This was the first time for me to sit in front of Fujimoto-san, as I had always been served by Kobayashi-san on my previous visits. They know about my preference not to have any tuna, so there would be appropriate substitutes along the way. 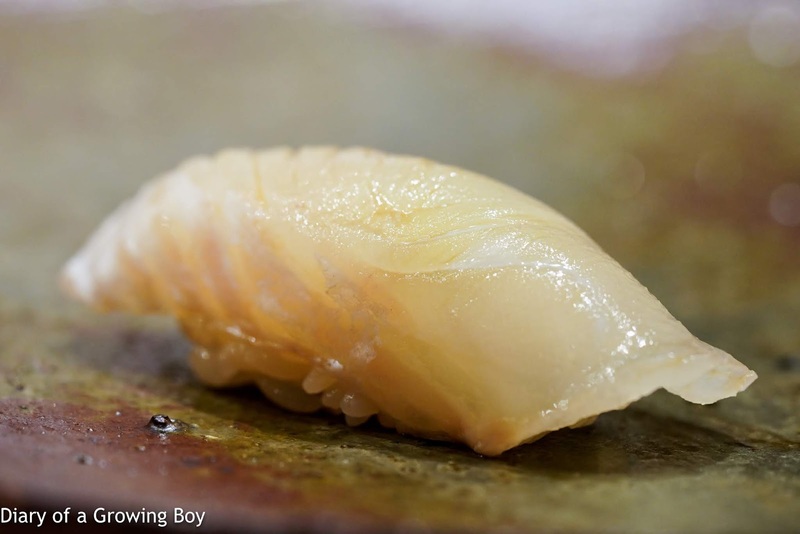 Steamed abalone (蒸し鮑) - very tender after being simmered for 6 hours. Octopus (蛸) - chewy in the middle but very soft and almost liquefied on the outside. A little sweet as expected. 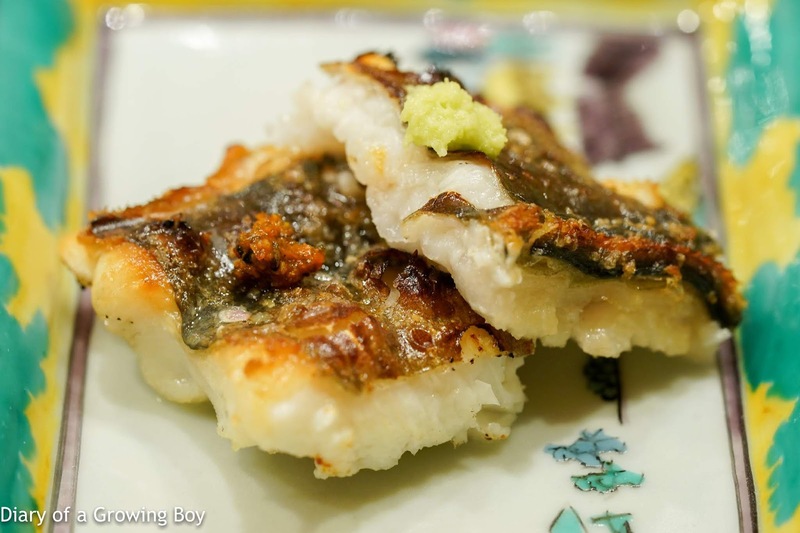 Conger eel shirayaki (穴子志ら焼) - with two types of condiments: nama shichimi (生七味) and wasabi. 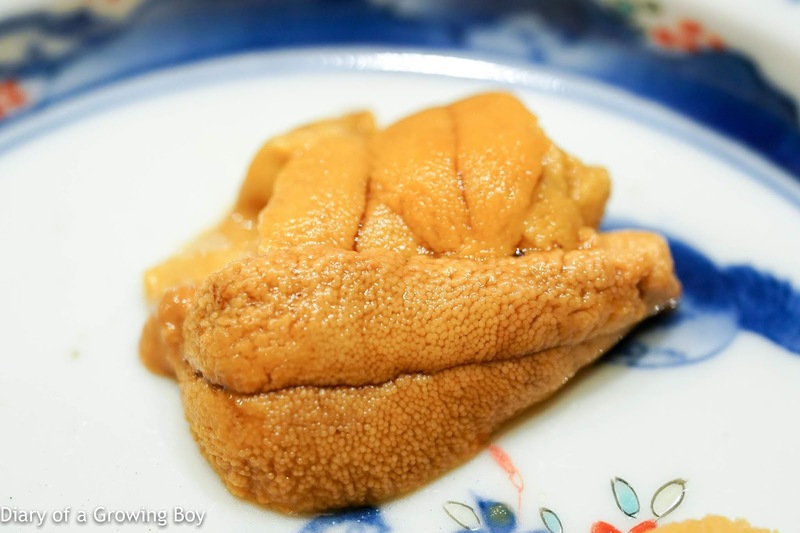 Pink sea urchin (赤雲丹), Saga Prefecture (佐賀県) - very dark in color but very sweet. Japanese green sea urchin (馬糞雲丹), Rishiri Island (利尻島) - orange in color. A little more bitter, and flavors were more concentrated. 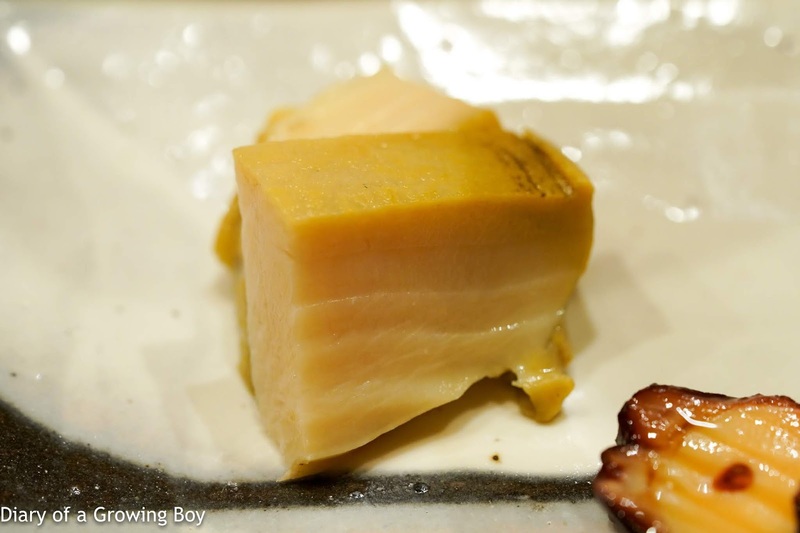 Purple sea urchin (紫雲丹), Hokkaido - most creamy and rich out of the three, with custard-like texture. 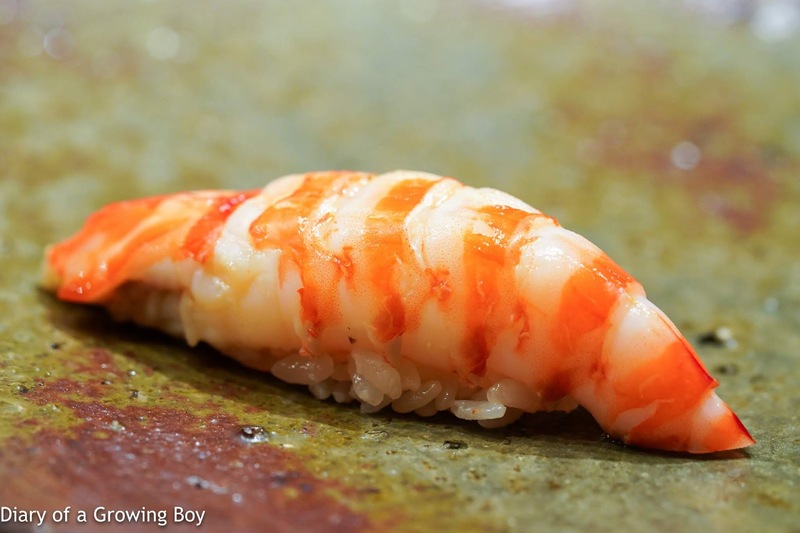 From Higashizawa Seafood (東沢水産). 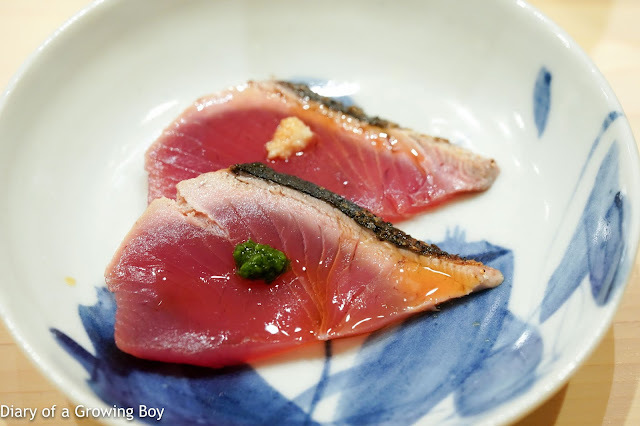 Bonito (鰹) - lightly torched on the outside and served with a dab of spring onion as well as minced ginger. The oil brushed on top was very, very flavorful. Very good. 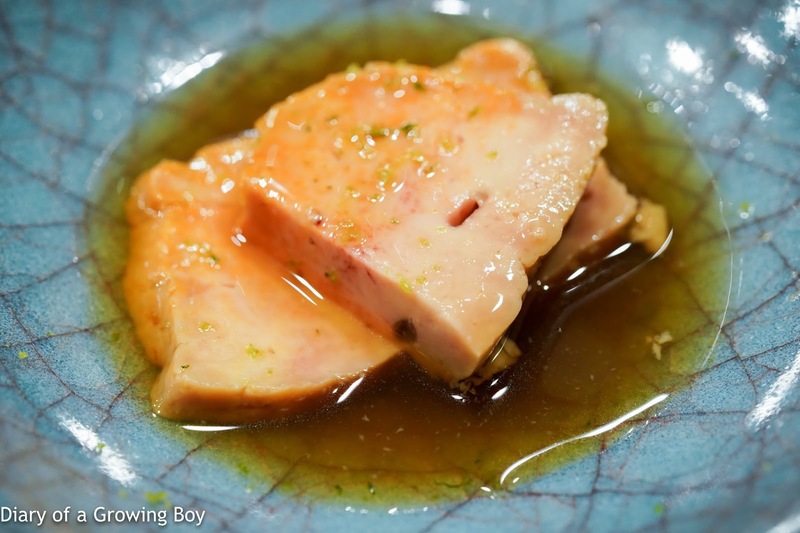 Monkfish liver (鮟肝) - always one of my favorite things to eat here. The liver was soooo soft and melted in the mouth like ice cream. 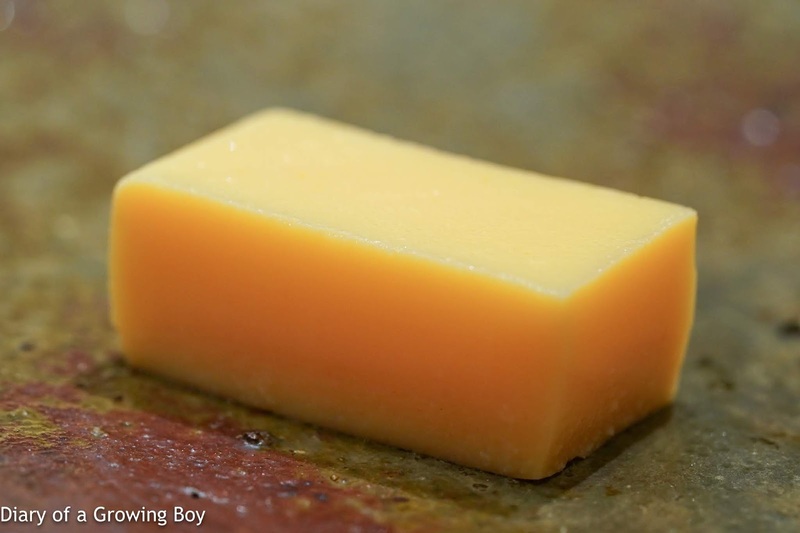 The shavings of yuzu zest on top brought a nice citrus fragrance. Japanese hairtail (大刀魚) - my replacement in place of grilled tuna collar. Fantastic soft texture. Served with eggplant from Osaka. Next we moved on to the sushi portion of the meal. 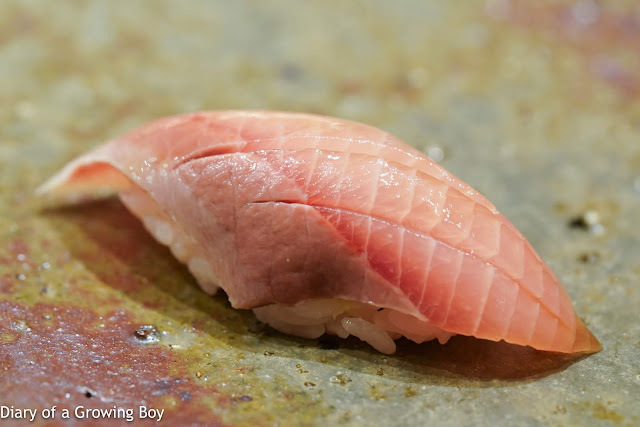 Splendid alfonsino (金目鯛) - aged for 6 days. Very thick cut, which delivered a little bit of crunch. Yellowtail (鰤) - now I started to notice the acidity in the rice, and the rice grains seemed slightly harder than before. 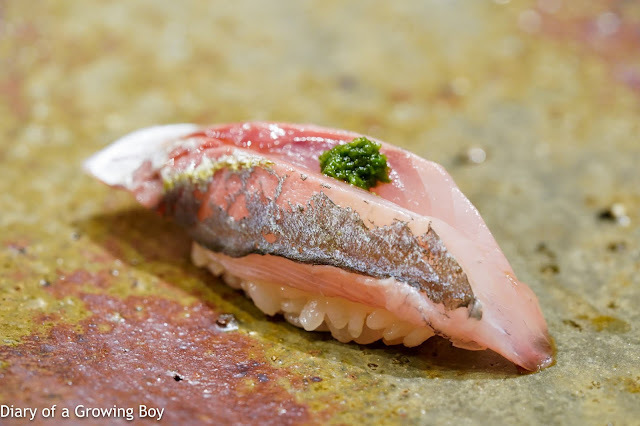 Gizzard shad (小鰭), Kumamoto Prefecture (熊本県) - good acidity in the neta (ネタ), and the shari (シャリ) was pretty warm. 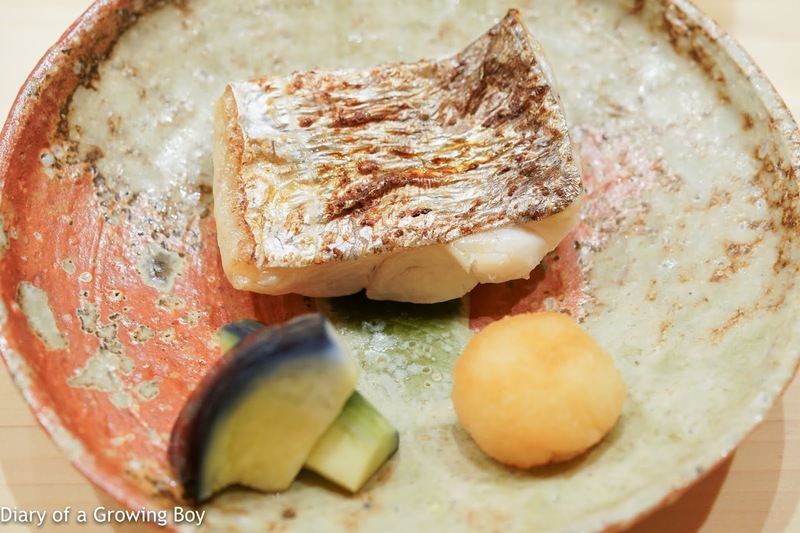 Spotted halibut (星鰈), Miyagi Prefecture (宮城県) - aged for two days. Interesting chewy and crunchy texture. 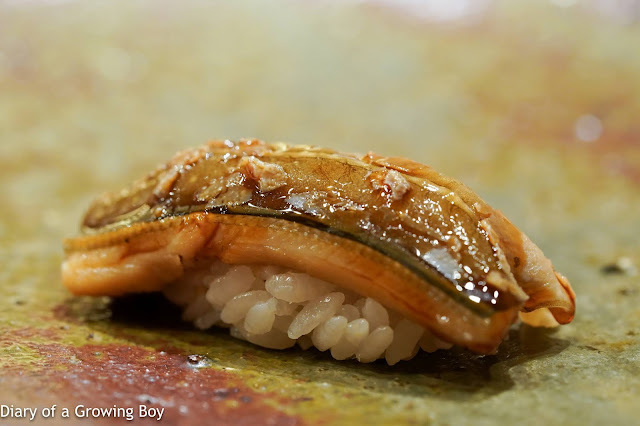 Horse mackerel (鯵), Izumi City (出水) in Kagoshima Prefecture (鹿児島県) - always one of my favorite pieces of sushi here, and in fact they probably do it better than anywhere else that I've been. Soft and melt-in-your-mouth. 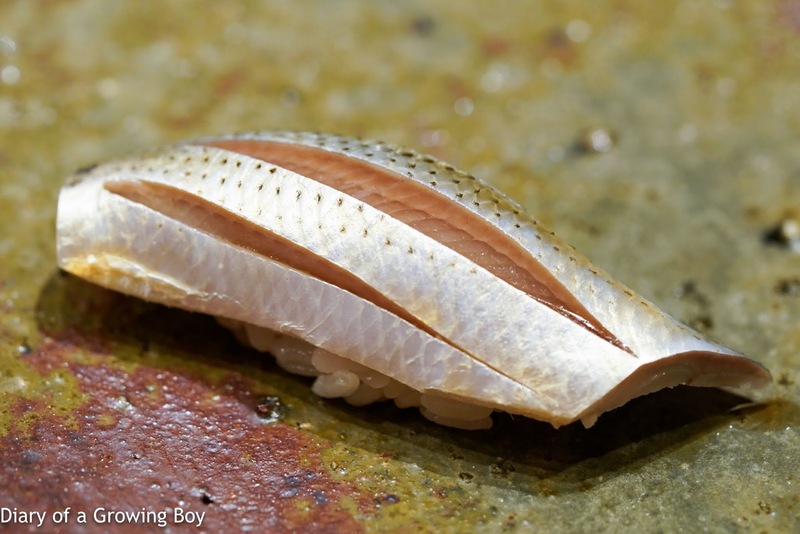 Clam shell (蛤) - my substitute for tuna. Sweet as usual from the tare (たれ), and for the first time I could pick this up with my hands. 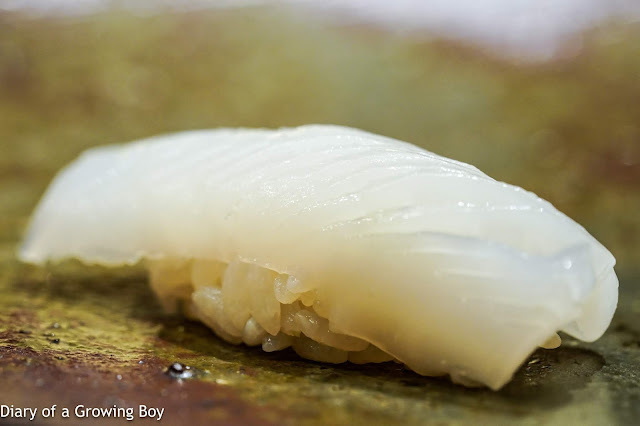 Bigfin reef squid (アオリイカ) - I must have been distracted when I ate this piece, because I don't remember feeling the same wonderful texture I got from the pieces of squid (墨烏賊) served on my previous visits. Judging by the same level of scoring on top, I'm sure it was just as good. 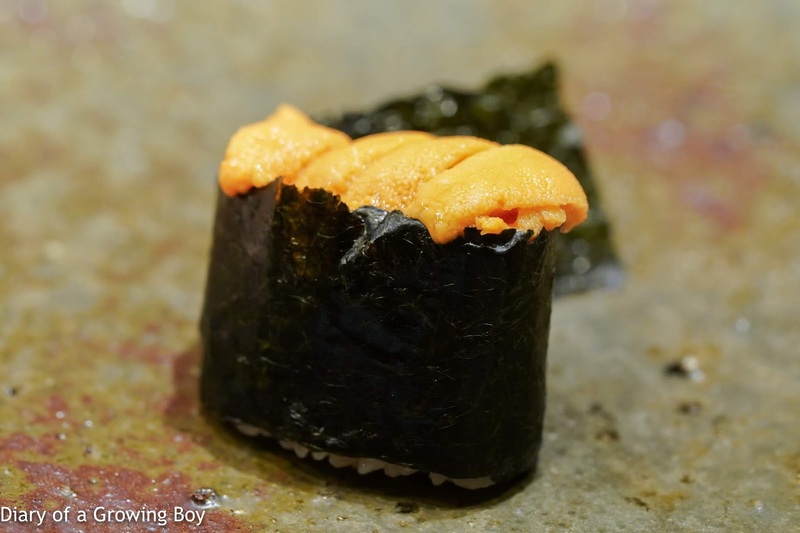 Japanese green sea urchin (馬糞雲丹), Nemuro City (根室市) in Hokkaido - served so cold that it highlighted the sweetness and creaminess. 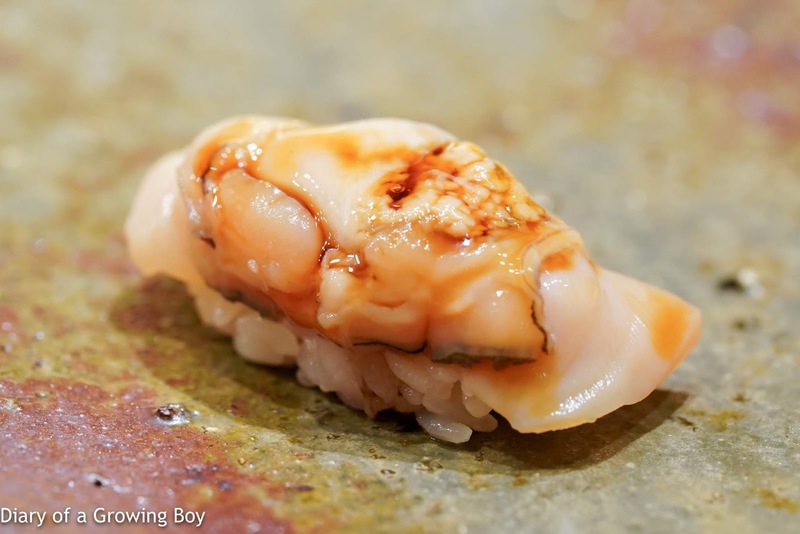 Conger eel (穴子), Tokyo - melted in my mouth. 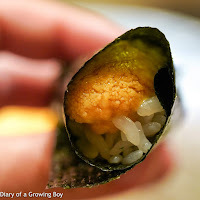 Purple sea urchin roll (紫雲丹巻き), Hokkaido - my substitute for chopped tuna roll. I'd take this any day! We brought along 3 bottles of wine, including the el cheapo Champagne that I like and thought would pair well with sushi... and we ended up paying MUCH more for corkage on the Champagne compared to the cost of the bottle... Oh well. 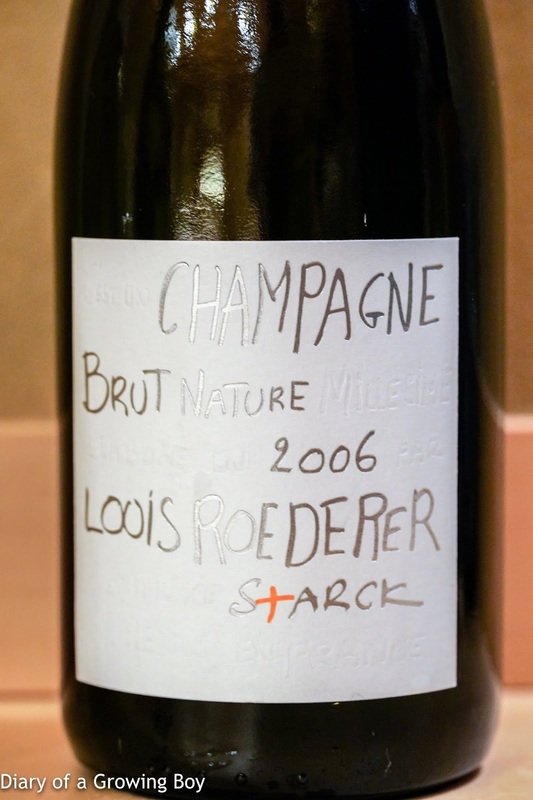 2006 Louis Roederer Brut Nature - good acidity on the palate, but also plenty of ripeness. 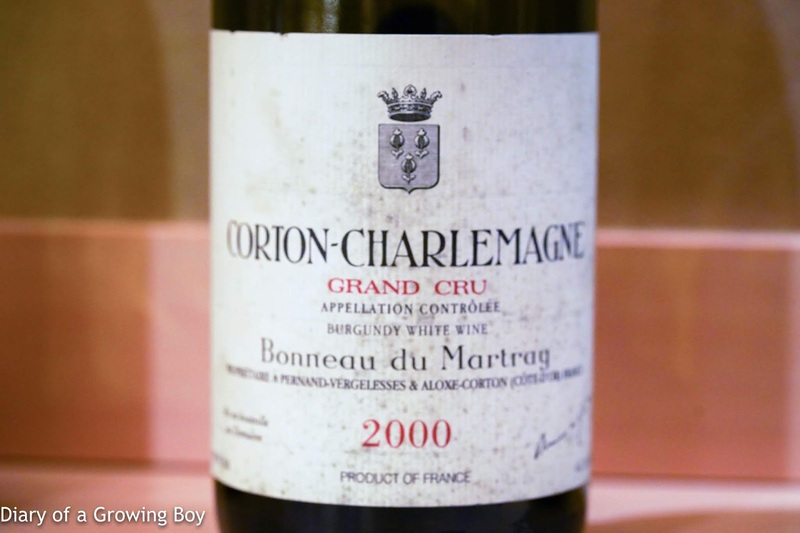 2000 Bonneau du Martray Corton-Charlemagne - a little nutty almost, and soft on the palate. 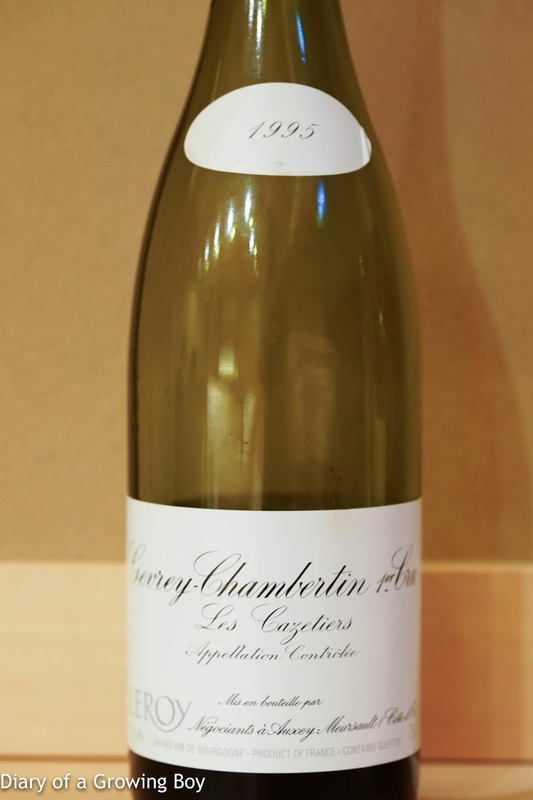 1995 Maison Leroy Gevrey-Chambertin 1er Cru Les Cazetiers - initially a little more leather notes, but later showed more sweet fruit. This was my fourth visit to this restaurant, and there always seems to be something about my neighbors that bothers me on each visit. I think it has something to do with how difficult this place is to book... how "exclusive" it is... that attracts a certain type of clientele. While I don't usually pay attention to who sits near me when I dine out, Hello Kitty immediately recognized the media tycoon and an internationally-famous movie star who took up the other 4 seats at the 8-seat counter. The thing about our neighbors was that despite being easily 100 times more wealthy than I am, or despite one of them reportedly having a hand in restaurants and wineries... it was pretty clear to me that they knew very little about what they were eating or drinking... or even cared for it. To them, it just seemed like an expensive meal which they could easily afford, at a restaurant that was getting a lot of attention where reservations were hard to come by. They didn't seem to be getting anywhere near the sort of happiness that the four of us were getting from eating the same food and drinking a very expensive bottle of brand-name sake. In retrospect, I'm very happy that I have learned to appreciate these things a lot more.